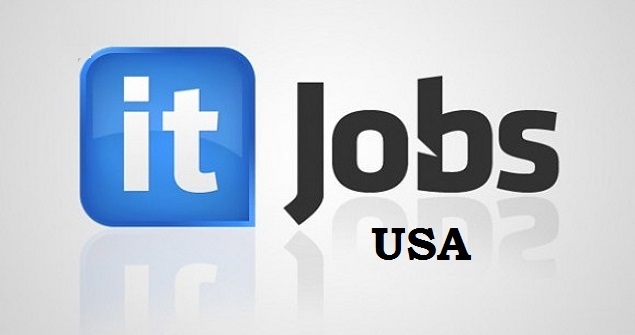 IT Jobs in USA. While there are many excellent career options in the United States, the IT field is an especially lucrative and appealing employment option. America is the birthplace of many top computing companies including market leaders like Microsoft and Apple, so it is no surprise that this is a popular field for job hunters. If you are interested in applying for IT jobs in USA, there is some vital information that you need to know. This article aims to help you learn all about IT jobs in USA so that you can make an informed decision as to whether this is the right career choice for you. Which IT Jobs Are Available? There is a wealth of different career paths available to qualified candidates in the United States within the IT field. Some of the most popular areas for job seekers to explore include graphic design, network and system administration, programming and software development, systems analysis, technical support and web design. Within many of these fields there are a host of different opportunities for those who possess a particular skills set. What Salary Can Be Expected For USA IT Jobs? Depending on the information technology field and the complexity of the individual role, salaries can vary greatly. They can also differ from company to company and also between different regions and states. However the majority of qualified technology roles can command salaries of around $60,000 - $70,000 with IT project managers being able to earn salaries of around $90,000 per annum. The qualifications required by applicants depend on the type of computing job being applied for. However all will require a good basic standard of education and excellent communication and English language skills. You are also likely to require a university degree in computer science or computer engineering and may also have to have relevant qualifications in sciences and mathematics. If you are applying for a role that centers on a particular type of software, application or computer system, such as Cisco, Java or Microsoft, it is possible that you will be expected to have obtained certification and credentials from the suppliers of those products. As well as paper qualifications, a successful applicant for an IT position in the USA will be expected to have good analytical and problem solving skills and to be able to work well both independently and as part of a team. Where Do IT Employees In USA Work? While there are many IT professionals working for specialist software and hardware companies in the USA, there are many other qualified technology employees who work in a range of other industries. There are often roles to be found in the finance industry as well as in the insurance sector, manufacturing and in support and administrative services. Where Can I Find IT Jobs In USA? If you are already based within the United States, you may be able to find relevant adverts for IT posts in your local newspapers. Another possibility, no matter where you are located in the world, is to search the internet for employment that fits your needs. There are lots of general job sites which list employment in a range of industries including information technology, but there are also specific websites which focus solely on the IT sector within America and list all the current vacancies within the industry. There are also some recruitment agencies within the USA which are able to place qualified IT specialists in a position that best suits their skill set. Alternatively, if there is a specific IT company that you are interested in working for, you could always take the direct approach and forward them your CV.